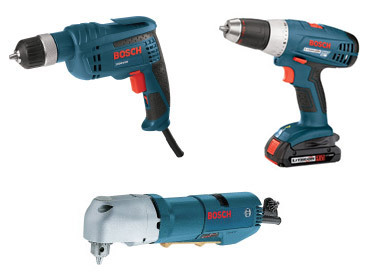 The Bosch 1132VSR Right Angle Drill features a chuck that is 90˚ to the body of the drill. This along with a low profile design is perfect for drilling in close quarters. This is very handy on the interior walls of woodturnings. The Bosch 18V 1/2" Cordless Drill is one of the handiest tools to have around the shop or home. It is perfect for screwing faceplates to workpieces and with the power of the 18V battery, it can be used for a variety of other applications.